Lot of people face the difficulty, that how they will make his/her friend or relative another admin of their Facebook Page. Its too easy, just follow below steps. 1. First you to visit your Facebook Page which you are owing or you are Admin of it. At the top of your page you will see a Edit Page button click on it. 2. 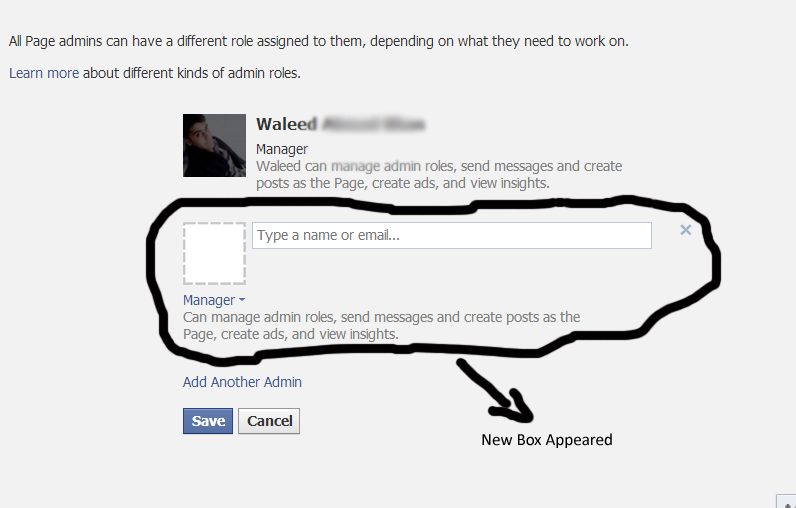 A box will be shown, select the Admin Role. 3. It will be navigated to new page, come downward and click on Add Another Admintext link. 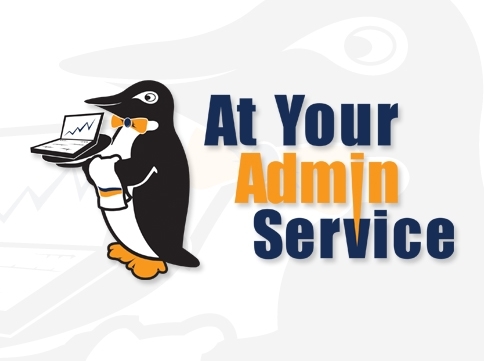 New Manager or Admin box will be appeared. 4. 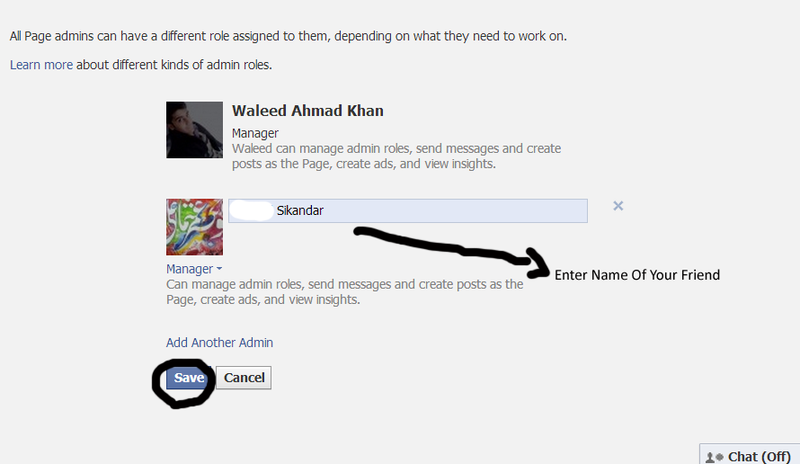 Now type the name in the required field of that friend which will be another Admin of your page. And at last click on Save.